Clayton Boucher was born and raised in Lac La Biche, Alta., the youngest of eight kids to Fred and Louise Boucher. Despite a good upbringing trouble would find the Métis man growing up. In his 20s, he was busted for a slew of thefts and robberies. Life would eventually quiet as he worked operating heavy machinery over a decade until he started dating a woman he had known for years. He loved her like no other, she’d call him her “ride or die” and, like many relationships, it had its rough patches. Then one day a man robbed a Lac La Biche department store sparking a series of events that would end their ride. This is the story of the sad, wrongful conviction of Clayton Boucher. It was the RCMP’s “tunnel vision” that first led to an armed robbery charge against a Metis man in Lac La Biche, Alta. And, in the end, it was the RCMP’s failure to subpoena witnesses for the trial that led to the charges being stayed. That’s what happened to Clayton Boucher on Jan. 16 when he showed up for his one-day trial in St. Paul, Alta. The Crown had no witnesses so the charge – that hung over Boucher for more than three years – was suddenly gone. Boucher’s lawyer believes the RCMP knew it was “flogging a dead horse” and surrendered. 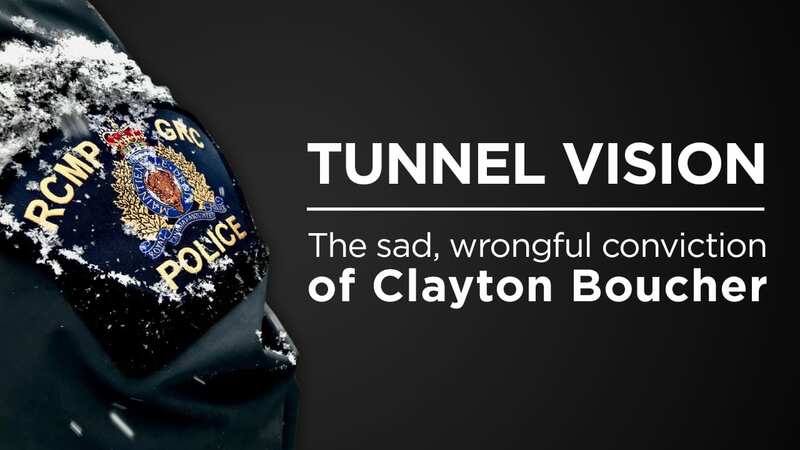 “What began as an investigation strapped by police tunnel vision … ended in police capitulation,” said Patricia Taylor, who was paid by Legal Aid to represent Boucher. And while Boucher, 46, no longer has to report his whereabouts to police every Friday, he doesn’t just get to move on with his life. The armed robbery charge sparked a separate wrongful conviction and, in his heart, the death of the only woman he ever loved. To tell this story we have to go back to Oct. 30, 2015 in Lac La Biche, about 200 kilometres north of Edmonton. That’s the day a “bigger” middle-aged “native” smelling like cigarettes walked into the Fields department store with a 12-inch crow bar hidden in his pocket. He was in and out in a matter of a few minutes leaving with $160 and two female employees shaken up, but otherwise unharmed. There were no working security cameras in the store and no other physical evidence, like fingerprints, to identify the robber who never disguised his face. The RCMP charged Boucher 18 days later. Their case was depended entirely on the memory of the two female clerks and, as it turned out, one of their mothers. About 14 days after the robbery, the one clerk’s mom was buying groceries when she spotted a man she thought fit the description of the guy that her daughter said robbed the store. She snapped a blurry picture with her cellphone and showed her husband. He said the man was Clayton Boucher and he was a “bad” guy. Then the mother tracked down a better picture of Boucher on Facebook. The clerks waited two days before going to the RCMP with the Facebook photo of Boucher but were convinced they found their guy. The lead investigator, Const. Nunzio Pasquarelli, quickly got them to look through a photo line-up of potential suspects – an old mugshot of Boucher was among photos of other men. The first clerk stopped at the picture of Boucher and said she thought that may be him and kept looking through the remaining photos before turning back to Boucher. She had to be asked several times if she thought it was man the man that robbed the store. The police needed her to be 100 per cent certain. Eventually, after 11 questions, she was certain. But there was another problem with clerk’s memory. It had improved since the robbery, but she doesn’t say anything and neither does the RCMP officer doing the photo lineup. In her first statement to police, immediately following the robbery, she could remember details like the robber asking for a pack of Canadian Classic King Size cigarettes before robbing the store. When asked about facial hair she specifically didn’t recall any. Now the robber had a moustache, a thick one too, just like Boucher had in the photo found on Facebook. The clerk was also now saying the robber’s face was etched in her mind, especially the moustache, which would soon be in a warrant as one of main descriptions of the robber. Boucher’s lawyer wouldn’t discuss evidence of the case, however she had issues with how Boucher was identified. She means even if they could point Boucher out in the court room it didn’t matter. But there was another potential problem involving the other clerk besides the fact she had just walked into the RCMP detachment carrying a Facebook photo of Boucher and still couldn’t pick him out the photo lineup. She blurted out she believed Boucher was related to a former employee of the store who had been saying bad things about her. The RCMP never asked her any questions about that. In fact, the officer interrupts her to direct her back to the photo of Boucher. Boucher was arrested the next day. The RCMP had their man, who they already suspected for the crime. Security cameras in the alley behind the store captured a silver Chevrolet Impala and the robber, however neither could be identified in the footage. Police got a warrant Nov. 23, 2015, six days after Boucher’s arrest, to search the Impala they suspected belonged to Boucher’s son. The car was later found on Heart Lake First Nation but no evidence linking it to the crime was ever found. They never spoke to Boucher’s son. The warrant to search the vehicle also mentioned the robber had a thick moustache like Boucher and his criminal record, including a number of break and enters and thefts mainly in the 1990s. Boucher told APTN News he was “young and stupid” back then and “fell into the system”. But he has worked 28 years operating heavy equipment and despite the economic downtown in Alberta, Boucher doesn’t struggle to find work today. A few weeks after his armed robbery arrest, Boucher was released under strict bail conditions, like house arrest, at least initially. Boucher’s witness was Eric Fisher who lived in a cabin 16 km from Lac La Biche, at the time, near Corner Gas, Alta. Fisher was ready to testify in court Jan. 16 that Boucher was with him the day of the robbery at the cabin helping chop firewood. Fisher knew this because shoulder surgery prevented him from doing it himself and Boucher had been living there for several weeks. Boucher said he moved back in the cabin, for about four months, after his release and the RCMP would check on him there. “They were there two times a night, sometimes three. They would just come shine the lights on the cabin. I would open door: ‘Yeah, I am here,’” Boucher recalled. When he eventually moved into town, the police continued to make sure he was following his bail conditions. He said it always seemed to be the same RCMP officers “checking in” on him. Two of them are named in Boucher’s more than $1-million lawsuit over a wrongful conviction for drug possession. Boucher was arrested Jan. 22, 2017 by the RCMP for breaching his bail conditions, related to the robbery, for changing addresses without telling his probation officer. He was nabbed getting a ride to a gas station to buy smokes. The Mounties allege in court the driver said Boucher had just sold him meth but none were ever found during the arrest. The RCMP then applied for a warrant to search Boucher’s apartment in Lac La Biche for drugs telling a judge they suspected he was dealing crack-cocaine and meth. Police would find about 130 grams of powder, some of which was still in an Arm & Hammer box, and other items like tin foil, measuring cups, sandwich bags and a small scale. There was also a crack pipe in a backpack. Boucher said it wasn’t his apartment and he was just crashing there with his then common-law wife, Phyllis Favel. “I wasn’t selling drugs and I have never been a drug dealer,” Boucher told APTN, adding his criminal record doesn’t include any drug convictions. He would tell the RCMP the same thing and demanded the powder be tested immediately. The RCMP charged him with trafficking and possession of meth and cocaine. Because of the previously bail conditions he was held in custody pending test results. Two samples of the powder was to Health Canada on Feb. 2, 2017 to be tested for cocaine. Records show both samples were tested Feb. 20, 2017 and were negative for any drugs. The RCMP allege they received the tests results on Mar. 20, 2017. Boucher was right all along, only no one told him or the Crown. Crown attorney Erwin Schulz claims he requested test results multiple times, after Mar. 20, 2017, but was always told they weren’t back from Health Canada. 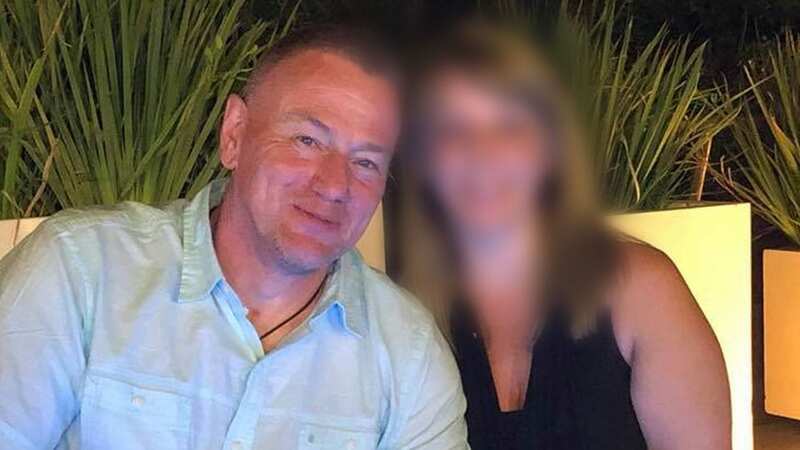 Boucher was also making his own calls to the Crown’s office, his own lawyer and even the Public Prosecution Office of Canada, sometimes multiple times a day, to find out the results. It wasn’t until his lawyer at the time, Leighton Grey, threatened to file a court order that the RCMP allege they told the Crown on May 3, 2017 that the tests came back negative. Grey previously told APTN that Schulz informed him on May 4, 2017 the powder came back with traces of cocaine. Schulz alleges he told Grey the powder came back negative and then both, he and Grey, incorrectly assumed there was other drugs seized that weren’t tested. Either way, on May 31, 2017, Boucher pleaded guilty to the lesser charge of drug possession. Boucher said there was a reason he pleaded guilty to something he didn’t do. While waiting for test results in the Edmonton Remand Centre, Favel died in a car collision April 30, 2017, more than month after tests should have cleared him. Maybe it had something to do with the fact he was forced to attend her funeral shackled and dressed in an orange jumpsuit. As he waddled into the service everyone could hear the chains cling. He sat in the back. He’s convinced that Favel would still be alive if he was released on Mar. 20, 2017. Boucher would find out after his release that the powder didn’t come back as drugs. He quickly filed an appeal and the conviction was overturned in September 2017. Then he sued the five Mounties, Schulz and Grey last spring. He also alleges the RCMP purposely targeted him because he is Metis. Justice Canada filed a statement of defence Aug. 23, 2018, on behalf of RCMP and Crown, denying any wrongdoing. “There is no basis for any claim for malicious prosecution, abuse of process, misfeasance, intentional infliction of mental suffering, harassment, breach of fiduciary duty, negligence or discrimination,” the statement of defence says. However, 10 days earlier the RCMP disciplined one of the senior officers on the drug investigation. And internal investigation found there was evidence against Cpl. Daniel Fenton for neglect of duty. Fenton was in charge of exhibits, such as the drug test results. He was told by Const. Allison Moore, before she went on extended leave, the results were in the exhibit folder. Fenton didn’t remember Moore telling him, said Supt. Mark Hancock, in his disciplinary decision. The test results would sit in the folder for another 42 days. “While I am satisfied that you neglected your duties on this file, I would comment that Mr. Boucher remained in custody for nearly a full month after the Crown was notified of the analysis results and even after defence had been advised of same,” said Hancock. Fenton also played a role in the robbery case and why the RCMP first suspected Boucher a day after the robbery. He was one of two officers who thought the Impala belonged to Boucher’s son and that the robber in the security video could be Boucher or another relative. Fenton also drove by the home of Boucher’s relative looking for the car. Boucher was nervous going to court for his one-day trial. He said in Alberta, you never know how things will go in court if you’re Indigenous. When he arrived at 9:44 a.m. his lawyer told him the good news. Then he heard it in court. “You don’t even know how much weight is off my shoulders,” said Boucher the same day. His lawyer, on the other hand, was confident even if the case went to trial. Taylor was Boucher’s third lawyer for the case. Boucher and Grey parted ways after his wrongful conviction and his next lawyer was hired by Canada to be a Crown five months before trail. It was those bail conditions that kept him in jail when he was detained on the faulty drug charges. So, it hurts to think where he may be if the robbery charge was never laid.